Just having a website for your dealership is not enough to improve your business’s online visibility—and if you want to be successful in this day and age, you need online visibility. It’s no secret that you can use certain keywords to improve your search engine page rankings, but if you’re not a search engine optimization expert, it might be intimidating to do anything beyond changing your webpage content to ensure it includes those keywords. Here are twelve easy tips to help you understand Automotive SEO and get your website’s SEO plan started, even if you are going to ask a professional for help. 1. Find the right keywords. The best keywords for your dealership are going to be the ones that have high search rates and low competition—that means that lots of people are searching those keyword phrases and your competitors are either not using those keywords or are not focusing their optimization efforts on those keywords. While it might seem like these are difficult keywords to find, or that all of the “good” keywords will already be taken by your competition, the truth is that you can always find a valuable keyword that meets the needs of your dealership and your target audience. 2. Objectively evaluate your existing content. It’s important to take the time to look at the content you already have on your page and determine whether or not it meets these three criteria: keyword-rich, valuable, and accessible. Having keyword-rich content that is not valuable or accessible will do little to help your webpage in the light of Google’s algorithm updates. You want your content to be useful for your site visitors—evaluate whether or not your content is actually answering the questions they need answered. 3. Focus your attention on generating leads, not just generating traffic. Just because you are generating more organic traffic doesn’t mean you are actually making more profits. If your focus is on creating quality content that meets your target audience’s needs, you will be killing both of these birds with one stone. Think of it this way: if you are just focusing on getting more traffic, it is akin to just convincing a crowd of random people to show up at your dealership. If you are focused, instead, on generating leads, you’ll get people to show up at your dealership—but they’ll actually be interested in buying a car!! This is one of the biggest SEO tactics that people forget to do. Internal links not only help Google determine the legitimacy or relevancy of your pages, linking one helpful piece of content to another is the best way to make sure your content and website on a whole is as user friendly and as useful as possible. If you’re not testing your keywords, your strategies, and your content before becoming attached to them, then you’re not getting the most out of your SEO strategy. The truth is that you need to test every change that you make. Don’t just implement it and forget it—search engine optimization doesn’t work that way. You have to monitor that change to make sure it’s actually improving your site, not hurting it. Google likes two things: old webpages and fresh content. Yes, it wants you to have a website with a positive and long history—but it also wants you to update and refresh your content at least every six months. The algorithm actually looks at how recently the last change was made and how often throughout the history of the site content has been updated. 7. Use the tools Google has provided for you. Even if you simply give your SEO professional your log in information, make sure you are making use of Google Analytics and Webmaster Tools. Because Google gives a boost to websites that do. 8. Don’t just write about yourself. 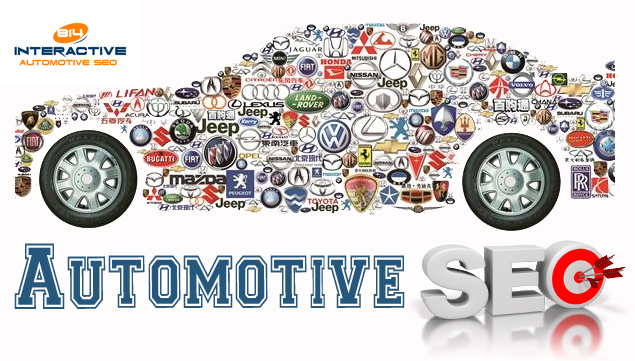 Too many dealerships use their blog simply to talk about their own dealership news. If you’re not using your blog to talk about your cars, provide maintenance, cleaning, and buying tips, you’re not making the most of your blog. People will find you not by searching for news about your dealership—they’ll find you as they’re looking for why their car is making that strange noise or some information about how frequently they need to replace their tires. 9. Don’t discount non-content-related SEO. While it’s true that your content is the most important part of your SEO plan, there are plenty of other ranking factors that your dealership should be aware of. One of the most important is user experience—if your webpage is difficult to navigate, you’ll see your rankings drop. Meta-tags, multimedia content, and off-site SEO are all important, too. 10. Always be on the lookout for new content opportunities. The next time someone is in buying a car, jot down the questions they ask during the process. Then, write blog posts to answer these questions. Read the news, follow your brand’s blog, and always watch for opportunities to provide new information to your site and blog visitors. 11. Don’t fight the beast. Don’t fall into the pit of believing your website is exempt from the rules. Even if Google’s algorithm hasn’t caught up to the latest shady tactics, it will, which can leave your website at the bottom of the results or removed completely. 12. Yelp, Angie’s List, Google +. All of these are resources created to help consumers get more info about local businesses, but they can also be used by local businesses like your dealership as off-site optimization opportunities. Don’t neglect them just because they aren’t actually attached to your website. You or your SEO professional should monitor these venues, keep them up to date, and respond to questions, comments, or concerns left there. STILL HAVE QUESTIONS ABOUT SEO FOR CAR DEALERS?